The separating and purifying of precious metals from other metals is called refining. Smelting is the separation of precious metal from non-metallic impurities. Midwest Refineries is committed in using correct and accurate evaluation methods of all precious metal shipments from our valued customers. Our modern assay laboratory guarantees that all precious metals are tested using the most suitable methods of evaluation. Gold, silver, platinum, palladium and rhodium are assayed (determination of precious metal purity) in various ways to accurately and precisely evaluate each metal’s percentage of purity. The method known as “fire assay” is the oldest known method of assaying gold and continues to be one of the most accurate. When gold is melted, a sample of the gold is taken, either by drilling through the poured bar or by capillary tube sampling while the gold is in a molten state. The sample is weighed very precisely, and the amount recorded. The sample is wrapped in assay lead foil along with a quantity of pure silver. This wrapped ball is placed in the furnace in a cupel (a special kind of disposable crucible). All the non-precious metals are absorbed by the hot cupel. The precious metal forms a button within the cupel. The cupel is removed from the furnace and the button is brushed to remove any remaining bits of the cupel. It is hammered flat, rolled thin and then heated in a porcelain crucible containing a weak nitric acid solution. The acid removes the silver, which is poured off and the silver recovered from solution. The gold is then rinsed in distilled water to remove any residual acid and then dried. The sample of gold is now at least 99.999% pure! The sample is then weighed again. The original weight of the impure sample is divided into the weight of the now pure sample. The result is the assay. In the analysis of platinum group metals, roughly the same procedure is followed, but the final element readings are normally done using ICP. ICP-OES Inductively coupled plasma optical emissions spectroscopy is a major technique for elemental analysis. The sample to be analyzed, if solid, is normally first dissolved and then mixed with water before being fed into the plasma. Atoms in the plasma emit light (photons) with characteristic wavelengths for each element. This light is recorded by one or more optical spectrometers and when calibrated against standards the technique provides a quantitative analysis of the original sample. ICP instruments comprise of various optical spectrometers, nebulizers, spray chambers, ICP torch and RF generators. X-Ray fluorescence (XRF) spectrometry is a non-destructive analytical technique used to identify and determine the concentrations of elements present in solid, powered and liquid samples. The spectrometer measures the individual component wavelengths of the fluorescent emission produced by a sample when irradiated with X-rays. 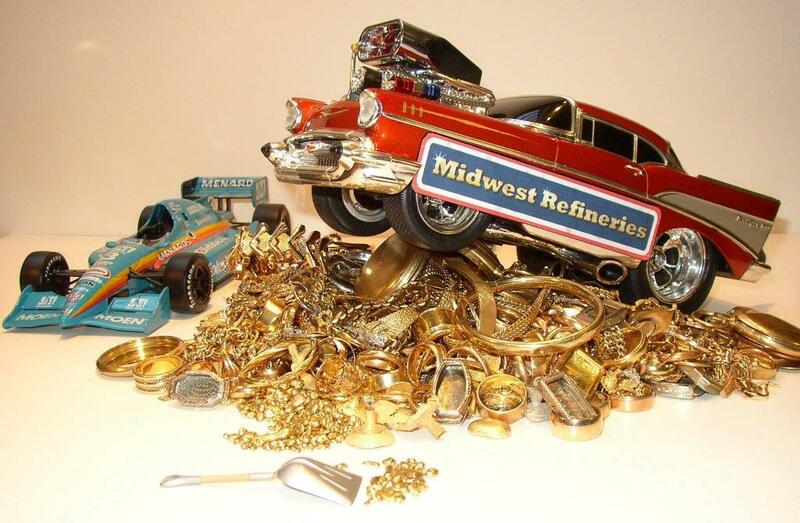 Midwest Refineries accepts all amounts of precious metals for purchase. In cases where customers may have just a few items they wish to sell, like an old gold school ring, or a couple of gold dental crowns etc., we will test the items and purchase them outright, eliminating the need for a melt and assay. Our trained staff can accurately determine the purity of most precious metals either by electronic means or by basic scratch and touch stone testing with acid, which compare scratch marks from unknown karat gold items with known karat gold needle marks. The touch stone is a smooth fine grained, slightly abrasive black stone, usually quartz or jasper. It was used as the first method of assaying gold and was used at least as early as 500 BC. Touch stones and karat needles are still used today and can be purchased from jewelry supply houses. They obviously are not anywhere near the accuracy of a fire assay, but still serve as a valuable tool to test the karat value of unknown gold items. Individuals can test their own gold and silver items with a few basic tools and acid. Nitric acid can be obtained from most jewelry supply houses and used to determine whether an item is gold or gold-plated on steel or copper. A good strong magnet, available at any hardware store, is useful to test whether the item is just gold-plated over steel. Gold is not magnetic. Gold-filled items are not magnetic, because the gold is usually over copper. Gold-filled items can be tested by filing a deep notch in the surface and putting a drop of nitric acid over the filed notch. If it starts to bubble green color, it is the copper reacting to the acid and it is gold-filled. When nitric acid is applied to 10 KT. gold, it will turn a reddish brown in color. 14 KT. will not change color and the acid will just look like a drop of water on it. From 18 KT. to 24 KT will stay bright on a touch stone but is hard to tell any difference between the karat value. There are numerous electronic testers on the market that will tell the karat value of gold items and some that can test for platinum. 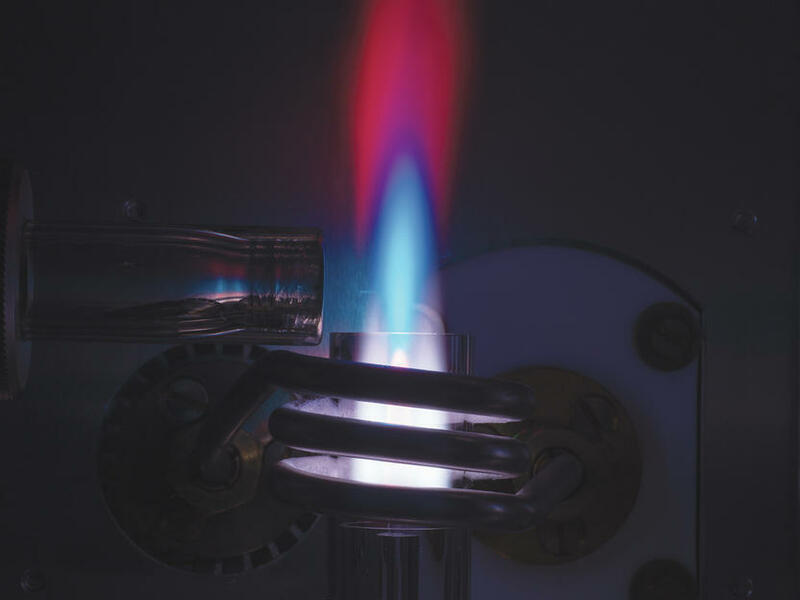 Electronic testers are not nearly as accurate as an actual fire assay but can serve as a tool to get a basic idea of what an unknown piece of metal is, or is not. Electronic gold testers are available through jewelry supply companies. 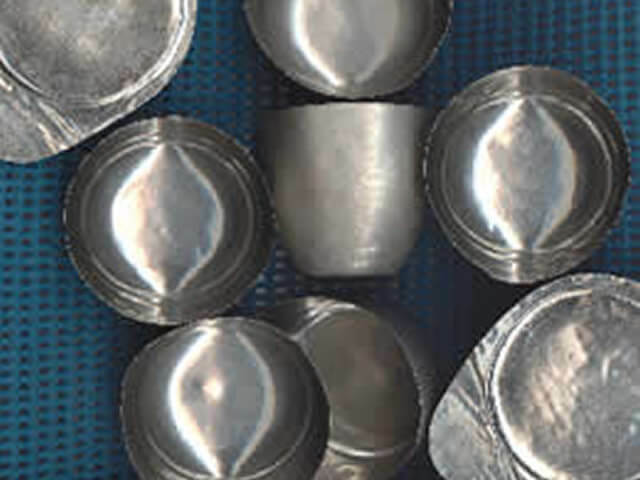 You can also determine whether a silver colored piece of flatware or jewelry is sterling silver or silver plated over base metal or copper by filing a deep notch in it and applying acid in the notch. If the item is sterling silver it will turn an ashy light gray in color, but if it starts to bubble green at the notch, it is silver plated over copper or other base metal. When it is time for you to sell gold, silver, platinum, palladium or rhodium, it is important that your precious metals are evaluated correctly and accurately. Midwest Refineries maintains a modern assay laboratory that is committed to properly evaluating all precious metal materials to insure our customers are compensated honestly and receive the highest settlements they are entitled to. We appreciate all of our customers business and continually strive to provide the best dependable service in the quickest possible turn-around time. While we often may be imitated, no precious metal refiner can equal our determination, commitment and integrity in serving our customers. Repeat, loyal customers are the main reason Midwest Refineries has been in operation for over 80 years. Give us a try on your next batch of scrap gold, platinum, rhodium, palladium or silver. We know your transaction with us will be a positive one. Our reputation depends on it! Many pictures of precious metals on our website were taken using scale models from Midwest Refineries’ die cast metal toy collection.